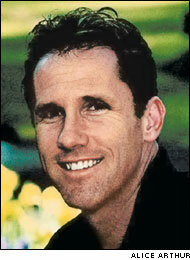 Sparks, Nicholas (1965-), American author most noted for his romance novels. Some of his numerous well-known books are the subject of movie adaptations including Message in a Bottle, released in 1999 starring Kevin Costner, Robin Wright Penn, and Paul Newman; A Walk to Remember, released in 2002 staring Mandy Moore and Shane West; and The Notebook, released in 2003 starring Ryan Gosling, Rachel McAdams, Joan Allen, James Garner, and Gena Rowlands. Film rights to A Bend in the Road and Nights in Rodanthe have been sold as well. The Rescue is currently being adapted into a television series with Sparks as one of the executive producers. Nicholas Charles Sparks, born in Omaha, Nebraska Dec. 31, 1965, was the second of three children born to Patrick Michael and Jill Emma Marie (Thoene) Sparks. During his childhood, he lived in Minnesota, Los Angeles, and Grand Island, Nebraska before settling in Fair Oaks, California at age eight, where he finished out his high school career, graduating as valedictorian of his class in 1984. He received a full scholarship to the University of Notre Dame for track. Majoring in Business Finance at Notre Dame, Sparks broke the school track record on a relay team in 1985, a record that is currently unbroken, before he was injured. He spent that summer recovering and wrote his first novel, The Passing, which was never published. He graduated in 1988 with honors. In July,1989 he married Catherine, whom he met on spring break the previous year. Living in Sacramento, Sparks wrote his second novel, The Royal Murder, also unpublished. He also held a variety of jobs the next three years, including real estate appraisal, waiter, and dental product telemarketer. He started an unsuccessful manufacturing business, eventually selling it to become a pharmaceutical representative. In 1990 he and Olympic Gold Medalist Billy Mills wrote Wokini: A Lakota Journey to Happiness and Self-Understanding, which was published by Feather Publishing, Random House, and Hay House Books. Sales for this book topped 50,000 copies for its first year released. In 1991, Spark’s first son Miles was born followed by Ryan, Landon, Lexie, and Savannah. Sparks moved from Sacramento to North Carolina in 1992. In 1994, at 28, he wrote The Notebook over a six-month period. It was published by Warner Books in October of 1996 and is currently only the third novel in recent history to spend over a year as a hardcover best seller. Message in a Bottle (1998), A Walk to Remember,(1999), The Rescue (2000), A Bend in the Road ( 2001), and Night in Rodanthe (2002), The Guardian (2003) and The Wedding (2003) followed. All of these books were domestic and international best-sellers which have been translated into more than 35 languages. Sparks currently lives in North Carolina with his wife and five children. In addition to running daily and weight training, Sparks competes in Tae Kwon Do. Sparks was named “Sexiest Author” by People Magazine in 2000. “Formal Biography.” Nicholas Sparks Website. 2002. Nicholas Sparks Enterprises. 22 Feb. 2004. <http://www.nicholassparks.com/ShortBio.html>. "Nicholas Sparks." Contemporary Authors Online. 2001. The Gale Group. Ferrum College, Stanley Lib. 22 Feb. 2004. <http://galenet.galegroup.com>. Jessica Hylton is an English major at Ferrum College in Virginia. She is also the news editor for Ferrum College’s newspaper The Iron Blade. She hopes to one day be a reporter or editor for a major newspaper.